Toscana virus is an important arbovirus causing meningitis and meningoencephalitis in countries around the Mediterranean Sea. While the clinical syndrome and laboratory diagnostic procedures have been well described, less is known about the immune response in Toscana virus meningitis and a possible use of cytokine and chemokine changes for the clinical follow-up of patients. We here characterized serum cytokine and chemokine profiles from 37 patients during the acute and convalescent phase of the infection. 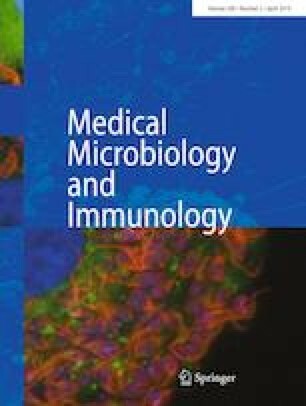 Only few serum cytokine/chemokine changes were detected during Toscana virus meningitis. Markedly increased concentrations of IP-10, interferon-α, IL-22, and eotaxin were found in the acute phase. Levels of interferon-α, IL-22, and eotaxin remained elevated in the convalescent phase, but decreased concentrations of GM-CSF were detected. We thank Dr. Antonia Mantella for collaboration in retrieving serum samples. All authors declare no conflicts of interest. No author has a commercial or other association that might pose a conflict of interest (e.g., pharmaceutical stock ownership, consultancy, advisory board membership, relevant patents, or research funding).